By now, many of you have likely already seen this movie and contributed to its massive success at the box office, which is still going on a month later, as it holds its position at #3 this past weekend. It’s also held at 96% approval rating on Rotten Tomatoes, which is 7% more than recent Best Animated Feature-winner Frozen, which was not at all bad itself and is holding at #8. Thing is, while a lot of people were doubting just how massive Frozen would be, it’s still a Disney musical, so its success at the box office was, at the very least, a certainty. Even when it proved to be the critical darling and now twice Oscar-winning feature that it is, were you really surprised that it went on to become so popular, given its pedigree? No, not really, I’m guessing you’re saying. It’s Disney, who’s been on a bit of a third renaissance, and it features music from a talented duo that includes a man who has now achieved his EGOT with the film. But this? It’s a movie based on a toy! It should be about as bad as movies based on existing toy lines should be, given their history! Not unlike its protagonist, Emmet, however, your first perception of the film may cause you to underestimate it. 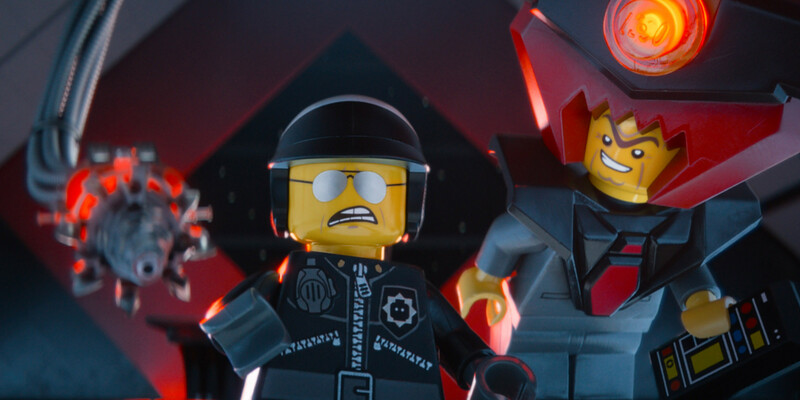 The LEGO Movie isn’t just good for being based on a toy line – it’s just freaking good. In fact, it’s freaking awesome! 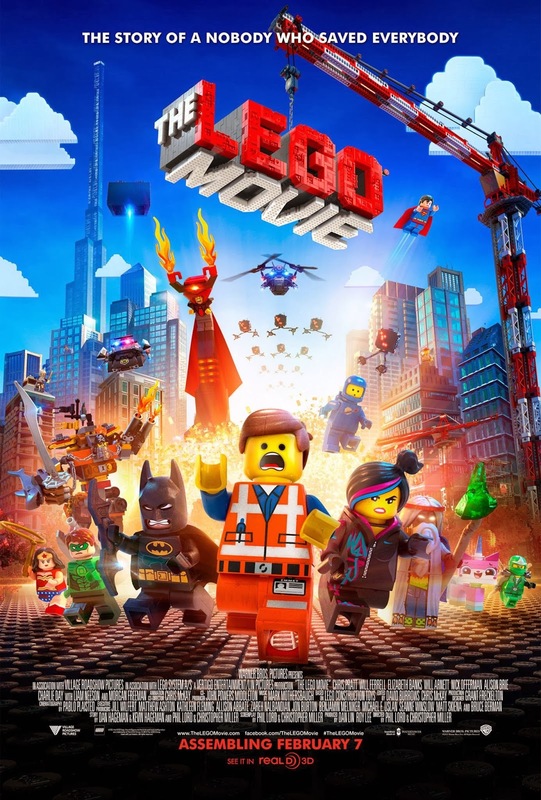 Emmet is a construction worker who finds himself getting caught up in a massive quest to find and control a mysterious object known as the Piece of Resistance – a fabled device that will put a stop to the evil Lord Business and his secret weapon, the Kragle, which freezes people into a state of perfection, just as Lord Business thinks they should be. Being mistaken for the one called “The Special,” Emmet finds himself a fish out of water when he finds himself banding with the beautiful resistance fighter Wyldstyle and the sage blind wizard Vitruvius who belong to a group known as the Master Builders, who, true to their name, can assemble nearly anything from their given environment and use these skills in order to take down the evil conformist dictator. Yeah, sure, it’s familiar stuff, but what you miss in that summary is all the charm, humor, and wit that has gone into making this already sure to be one of the year’s best films and a likely contender for the top 10 most entertaining family films of all time. Directors and writers Phil Lord and Christopher Miller – the duo also responsible for the surprisingly enjoyable 21 Jump Street and the first Cloudy with a Chance of Meatballs – tossed in so many fun, funny, and fantastical scenarios in this film, you can’t help but be swept away in all its joyousness and silliness, which is only bolstered by the fact that the film features a cast of extremely talented comedic talent that includes Will Ferrell as the villainous Lord Business, Elizabeth Banks as Wyldstyle, Morgan Freeman as Vitruvius, Will Arnett as freaking Batman, Alison Brie as a bizarrely cheerful creature known as Princess Uni-Kitty, and Liam Neeson as the face-turning Bad Cop/Good Cop. Chris Pratt definitely steals the movie as the infinitely cheerful lead, Emmet, however, making the character one of the few leads to actually remain lead and steal scenes from the supporting cast of straightmen, rather than the other way around. If you’ve seen his work on Parks and Recreation, you’ll know exactly what I mean when I say that this guy exudes an enthusiastic goofball charm that never gets old. And neither do all the cameos that populate the film. LEGO and Warner Bros. really exercised their marketing muscle with this one and managed to make The LEGO Movie literally the only place where you will see Batman, Superman, Wonder Woman (in her cinematic debut), Gandalf, Dumbledore, Michelangelo (both the artist and Ninja Turtle), and a host of other characters featuring in the same film and often interacting with one another. I’m not going to spoil the surprise thrill for one particular appearance, but you better believe the Star Wars license gets lovingly exploited for fanboy joy – and, for once, I’m saying that as a good thing, because, really, that’s what LEGO is all about: having fun building and mixing it up and using one’s imagination, and pushing the boundaries of the provided instructions. The fact is that the film also balances all the licensing and marketing out with a lot of that necessary fun, heart, comedy, and some of the most stunning animation I’ve ever seen – there were rumors that the film was actually a mix of CGI and actual stop-motion using real LEGO pieces when, in fact, all the animation is entirely CGI, albeit incredibly detailed and realistic CGI, complete with fingerprints, scuffs, and tooth marks on some of the surfaces. This is exactly the kind of silly entertainment that will appeal to all family members on multiple levels, and it’s hard to imagine that any film released this year aiming at that demographic will top it for entertainment and quality value. It was released in the early part of the second month of the year, and I’m already predicting it’ll remain at the top of the list for Best of 2014.